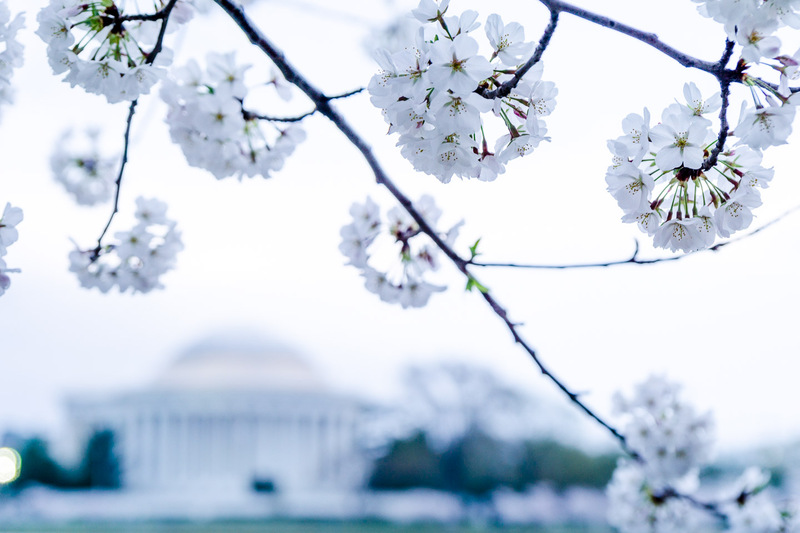 As of Wednesday, March 23rd, 2016 cherry blossoms are near full bloom. 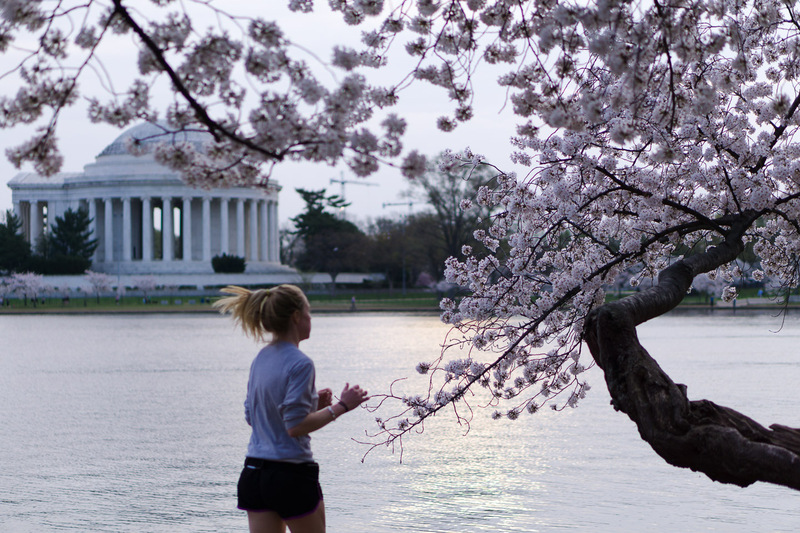 I expect that Friday/Saturday will be prime time to go see the cherry blossoms this year. 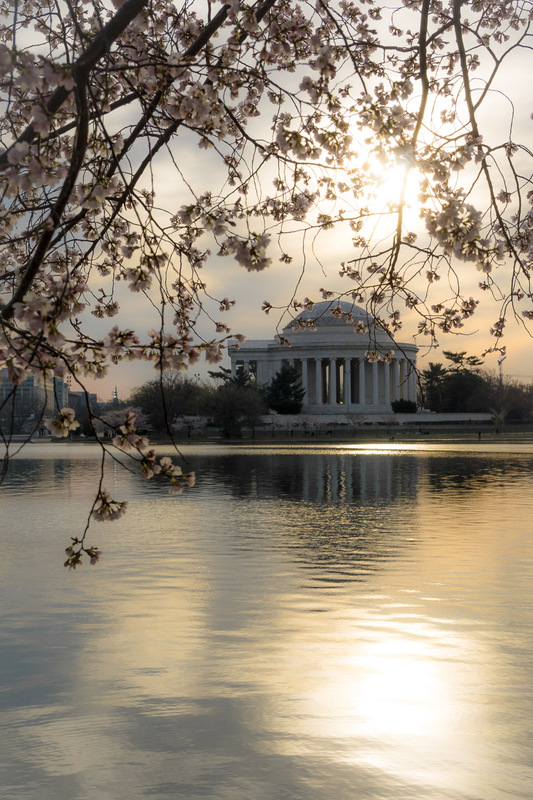 I’ll share some tips for visiting Tidal Basin and capturing sunrise photos below. A camera with manual mode or “M”. This allows you to adjust the shutter speed. We are going for longer exposure times by slowing down the shutter speed. Longer exposures will capture more light – great for sunrises/sunsets. 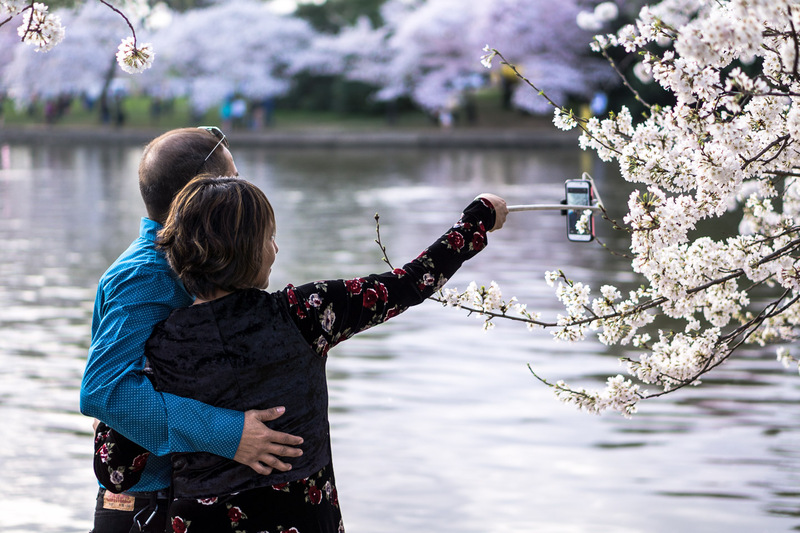 Phone apps can also provide the settings you need for manual mode or long exposure photography. A tripod. A tripod provides stability for the camera, which is required for in-focus pictures that also have longer exposure times. A timer on your camera (or a remote trigger). This ensures our camera won’t shake and introduce blurriness as a result of pressing the shutter button. If you’d like to capture the sunrise, I strongly advise you arrive by 6 a.m. This gives you one full hour for parking, walking, scouting the best spot, and testing your camera settings. Golden hour is fleeting, so you’ll want plenty of time to prepare. Parking. If you choose to go early-early, you’ll likely find parking on Ohio Dr SW. All parking will probably fill by 6:15-7:00 a.m. There are 3 parking lots SW of Jefferson Memorial. They are marked lots A, B, and C.
If you continue north on Ohio Dr SW (which will be closed going the other direction for this event), you may find parking on the left side. Biking. There is a convenient Capital Bikeshare location nearby. Public Transit. See the official website for more information. I recommend capturing the sunrise, which rises on the east. You’ll also want to capture some interesting foreground and/or subject. Play with angles and spots that give you the best composition. Don’t compromise. 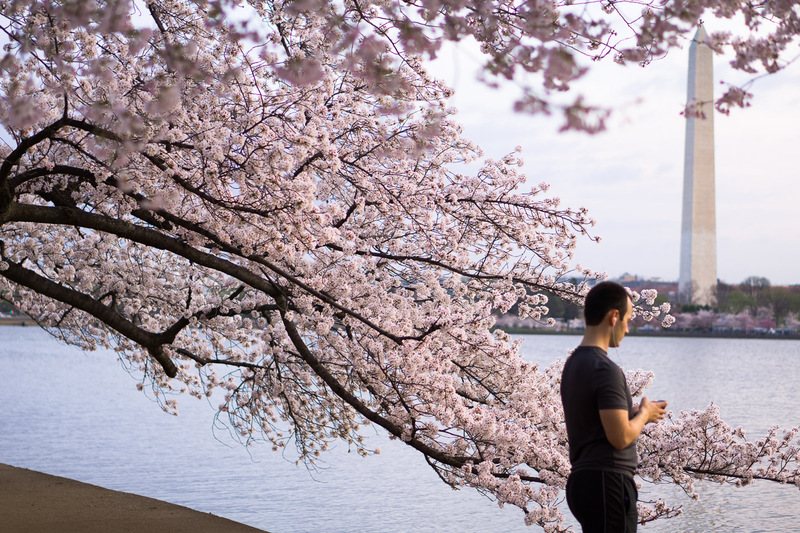 See my favorite photo spots at Tidal Basin on Google Maps. Also plan on masses of photographers, tourists, and joggers anywhere and everywhere. If you get there early enough to find a good spot, you can plant yourself in a way that forces people to go around you rather than in front of your camera. Now that you’ve positioned yourself for the sunrise, it’s time to take test photos. White Balance: I used daylight. If you use auto, the white balance will automatically adjust, producing inconsistent color ranges and values in your photos as the sun rises. Display Histogram: This is essential for properly exposing your photo. Take some test photos and adjust to get the right exposures. If your test shots are overexposed (your histogram is shifted to the far right resulting in blown out highlights), increase your aperture value (i.e. from f/8 to f/11). Continue increasing until your histogram is balanced and spread throughout the range. If your test shots are underexposed (your histogram is shifted to the far left resulting in too many dark shadows with little to no detail), slow your shutter speed (i.e. from 3 to 8 seconds). Continue increasing until your histogram is balanced and spread throughout the range. If you want glass like or dreamy water, you’ll want a long shutter speed (above 3 seconds, 15 seconds is probably good). If you want lights to appear like star bursts or want extra defined sun rays, close down your aperture as much as possible (i.e. from f/8 to f/22). 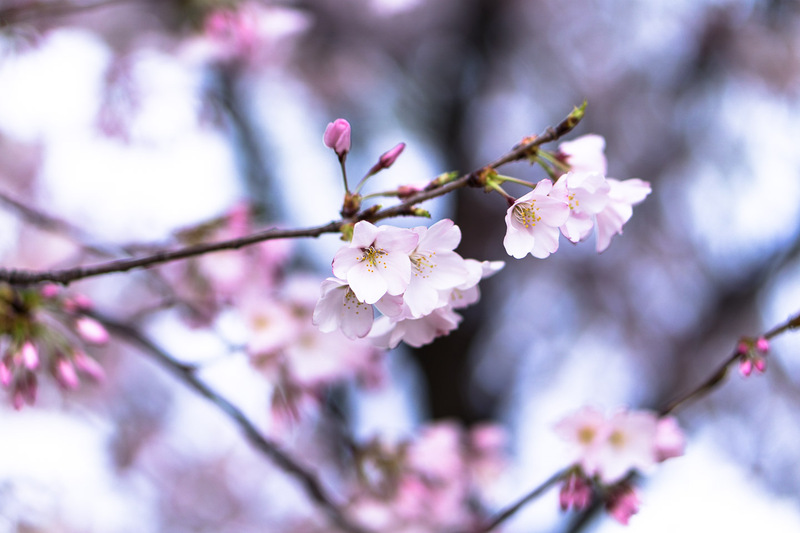 If you can’t go above 3 seconds shutter speed without overexposing, and you don’t want to (or can’t) close down your aperture, you may want to use a neutral density (ND) filter. For my shots, I used ND3 (darkens by 3 stops) once the sunrise was too bright for slow shutter speeds. Circular polarizer (CPL) filters can also reduce light intake by 2 stops or so. As soon as you start seeing color in the sky, it’s time to get serious! The optimal time frame for capturing the sunrise is a very small window, so you should have your gear, composition, and settings ready. You could get only 10 minutes of vivid colors during sunrise. You won’t know until it’s too late. IMPORTANT! Lighting conditions will be constantly changing. So, you’ll need to check your histogram frequently and re-adjust your exposure (as explained above under ‘Test’). If you want a variety of compositions and techniques, plan them BEFORE sunrise so that you can quickly execute them within the limited timeframe. 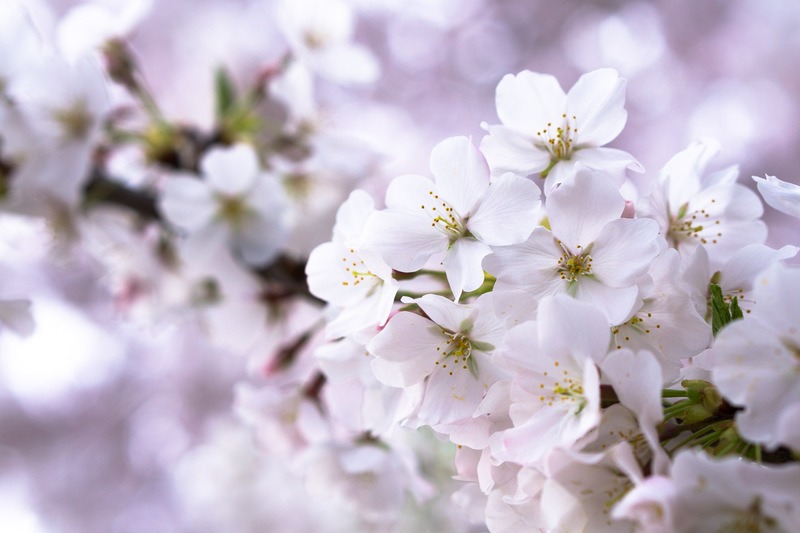 As soon as the vivid colors disappear, you should pack up and go into mobile mode. It’s going to get packed quickly, and you should take this time to walk around before the 8 a.m. and 9 a.m. crowds rush in. 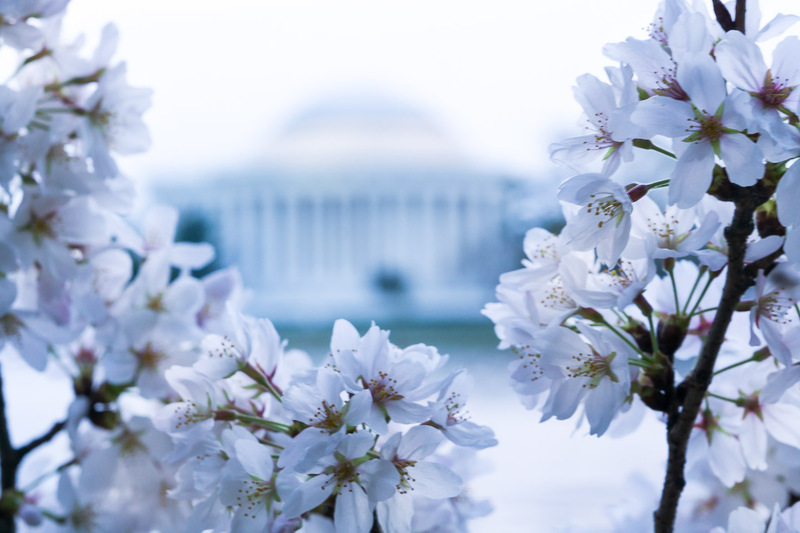 Cherry Blossom Cam. 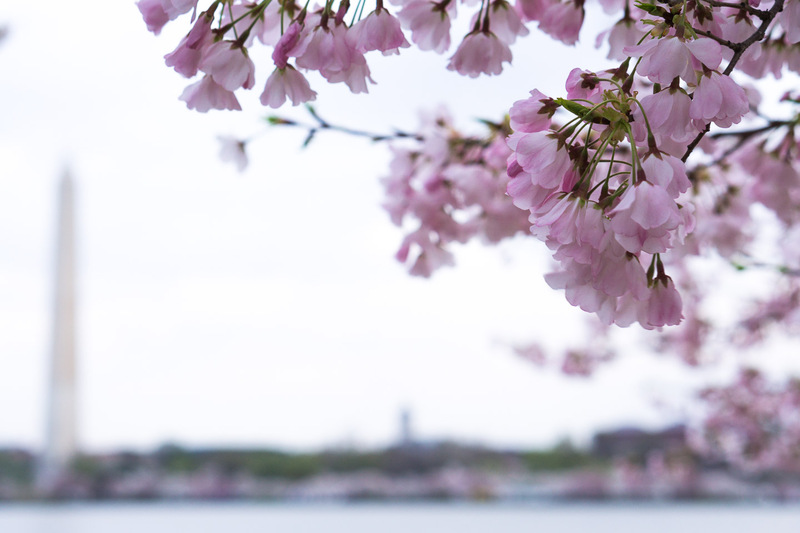 This is a live view of the Tidal Basin. Use it to see the status of blooms and crowds. 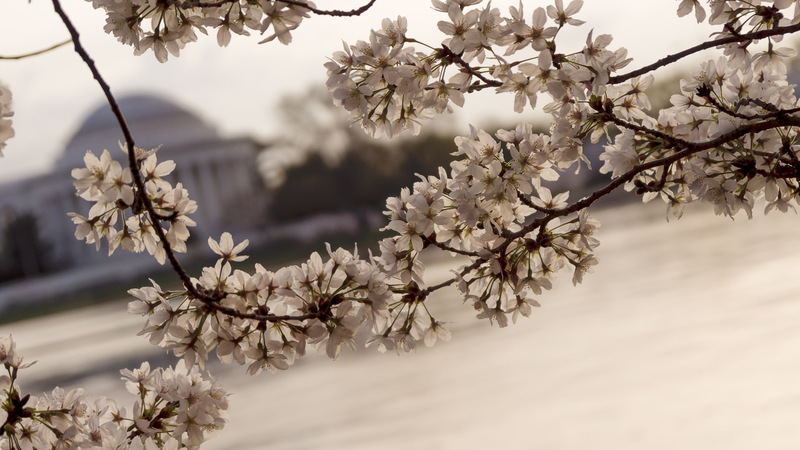 5 Essential Tips for Photographing DC’s Cherry Blossoms by our top local photographers. PhotoTourism DC. This is my favorite site for DC sightseeing. It is very thorough. You’ll also find a map of locations for photo opportunities and see the resulting photos from that location.